Despite having built his career in New York City, Winogrand’s words are particularly significant for wildlife photographers; the story told by a photo (the facts) can change dramatically depending on the perspective of the photographer. The shots guests Nick and Kathryn Delany shared after their green season Photography Safari are a great example of this. Nick is a photographer, Kathryn an artist. The two sat side-by-side in a Land Rover taking photos with slightly different perspectives. Here are just a few animals they photographed using slightly different perspectives. Servals are primarily nocturnal, so spotting one in broad daylight is rare. Nick and Kathryn were fortunate enough to see two on their adventure. 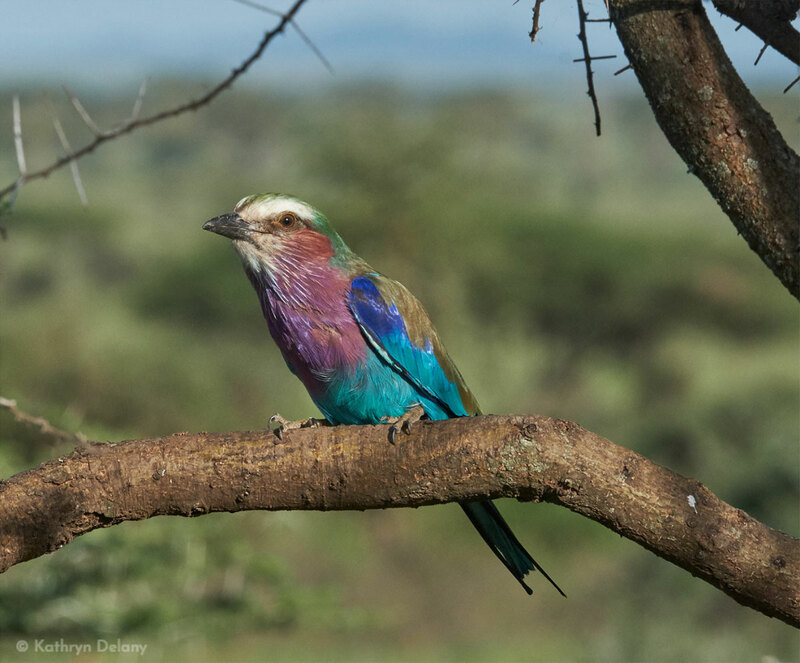 This is just one of the 500 or so incredibly varied species of birds in Tanzania. Perched upon a branch, Kathryn and Nick eagerly waited for the roller to take off. And with luck and talent, Nick captured this beautiful action shot. 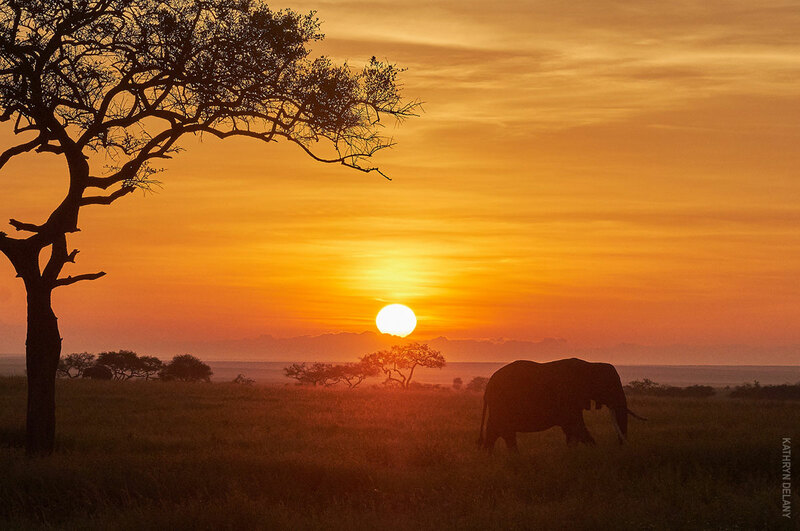 Nothing shares the spirit of Africa quite like elephants against a sunrise backdrop. Nick and Kathryn highlight solitary bulls and peaceful herds. Another rare find, Nick and Kathryn spotted a leopardess with her cub two days in a row. Watchful and determined, Nick’s photos show a leopard that may well be hunting alone. Zoom out a little and you’ll see she’s scouting alongside a cub. What may have been a hunt fizzled out when the leopardess climbed into a nearby tree and encouraged her cub to join her for a nap. If you came across a pride of lions, what would you focus on? Nick zooms in for a closeup, that shares an interesting fact: to identify specific lions, observers can tell them apart by looking at scar patterns or the number and orientation of their whiskers. Kathryn zooms out to highlight a sleepy cub relaxing after a big meal. The cheetah was the only big cat that eluded Nick and Kathryn. Then, three minutes before leaving the park, they spotted this male. Would they see the fastest land mammal on Earth take off? It might seem likely from Kathryn’s perspective. Nick’s shot shares a different story; this cheetah had just gorged on a recent kill and was in no mood to run. With a full, swaying belly, he found some shade to nap in a short time later. We highly recommend exploring Nick and Kathryn’s websites, where there are many more incredible shots from their safari. You can find Nick’s here. Kathryn’s is here along with some excellent context around many of the lion shots and their experience photographing birds in Tanzania generally.